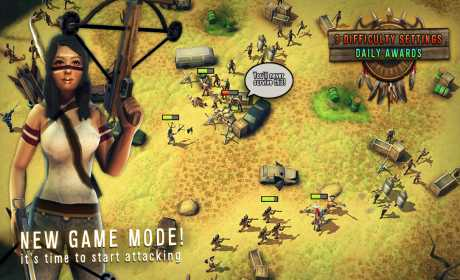 – Over 130 levels which will challenge your defense and strategy. 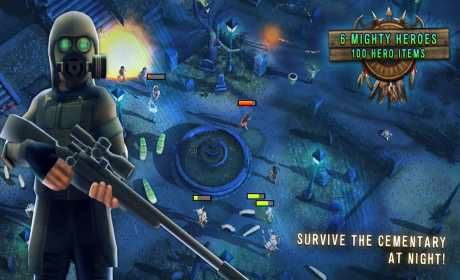 Find the reason behind the zombie invasion, take out the raider leader scavanging the land or fight in the arena for coins and glory! – 6 Special Heroes to choose between, the cute Princess, mighty Barbarian, mysterious Scout, gun crazy Mechanic, support Soldier or the righteous Sheriff. – 12 Different Towers to defend yourself with, each with a unique research tree to make them even more powerful! Pierce the zombies with arrows from an Arrow Tower, blow them to pieces with a Mortar Tower or electrify them with a Tesla Tower. 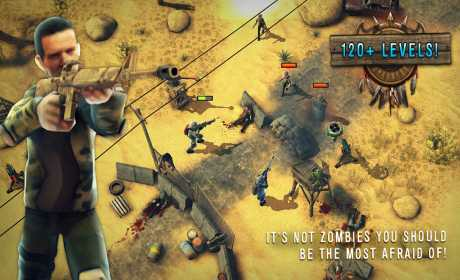 – Explore the wasteland and encounter over 50 types of enemies. If that’s not enough, go up against 5 Boss monsters that are scattered across the map waiting to rush you! – Many hours of gameplay including ingame Achievements with rewards and also unique rewards for completing levels and different challenges.